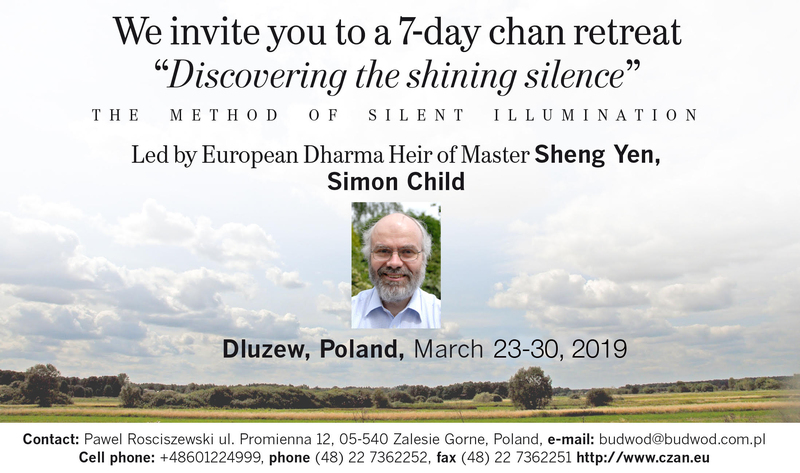 A 7-day Chan retreat, led by Simon Child, will take place in March 2019, at the Plein-air House of the Warsaw Academy of Fine Arts in Dluzew, Poland. It will begin at 7 pm on March 23 (Saturday) and will end at 30 am on March 10 (Saturday). The prerequisite for acceptance to the retreat is at least 6 months of experience in Buddhist meditation practice. It is possible to participate in 5 or 7 days of the retreat, provided one begins on March 23. This traditional 7-day retreat provides time and space for dedicated practitioners to learn, practice and cultivate the Chan method of Silent Illumination. Simple yet difficult, with focused practice you may encounter an opening that allows you to come to rest and find peace, a lucid spaciousness and clear Dharma insight. Facilitated in a warm, supportive manner, the teaching and methods of Master Sheng-yen will be presented through practice instruction, talks and individual interviews carefully adapted to lay practitioners of European mind and culture. 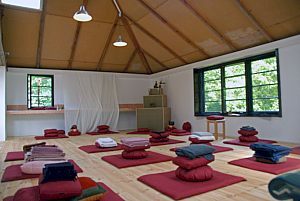 This orthodox Chan retreat entails rising early, a rigorous schedule of meditation with exercise and work periods, the whole requiring a precisely focused and persistent endeavour based in a relaxed mind. Many practitioners experience clear insights enabling them to walk the Bodhisattva path with refreshed confidence and deepened serenity.